It is a volume that has two very distinct strands: anecdote and analysis, the former demonstrating that the author has a quite phenomenal memory for detail. With the latter, Anthony has thoroughly filleted a number of bands/musicians and their key releases and other relevant supporting material and has done so in a very knowledgeable and perceptive style. Indeed, it has led me, for example, to re-evaluate The Doors, a band whose music I loved from the very first time I heard their debut album contemporaneously with its release and bought it (in mono!) as only my fifth album. Anthony's perspective (in the chapter 'Morrison Hotel) is not contemporaneous, and uses the band's lead singer to dig into the psyche of someone who was "a complete monster" in his personal life and "how fame and the pressures of celebrity can help to destroy someone". Morrison's biographer and protégé Danny Sugarman is also discussed as an extreme case of rock fandom and here and in other places, Anthony allows his interest in psychology to almost – but not quite – hijack the narrative and fine focus of his book. 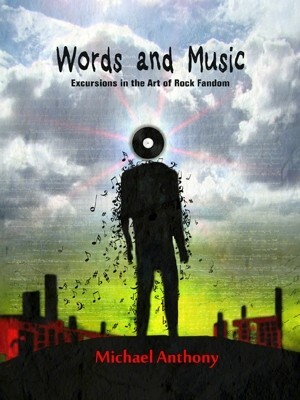 "This is a book about rock music. 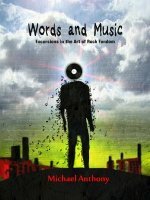 More specifically it is a book about the value of rock music and the meaning it can have in people's lives" Anthony tells us on page 9. This he cements it into his personal perspective (and surely also that of any of us of a certain age) by further commenting "Taken as a whole, the book describes the journey of someone who has listened to and been inspired by rock music over the last 30 years or so..." For me, it has been nearly 50 years, and yet there are so many parallels (and points of convergence) between he and I, and for those of you who purchase this volume – and I urge you to do so, for it puts ones devotion to music into appropriate context – I am sure you will also discover your own rock fandom and the purpose for it and the outcomes of it.